The German government through its Federal Ministry for Economic Cooperation and Development (BMZ) and the KfW Development Bank (KfW), has contributed another €3.5 million to CNF’s core endowment fund, bringing its total contribution to CNF over nearly ten years to €32.5 million. 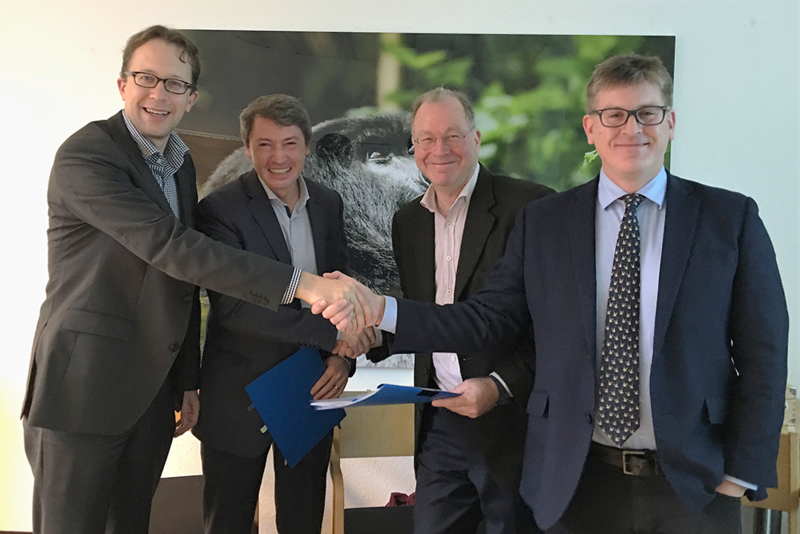 A signing ceremony was held on 16th November in Berlin, where CNF’s Board of Directors were gathered for a planned Board Meeting. 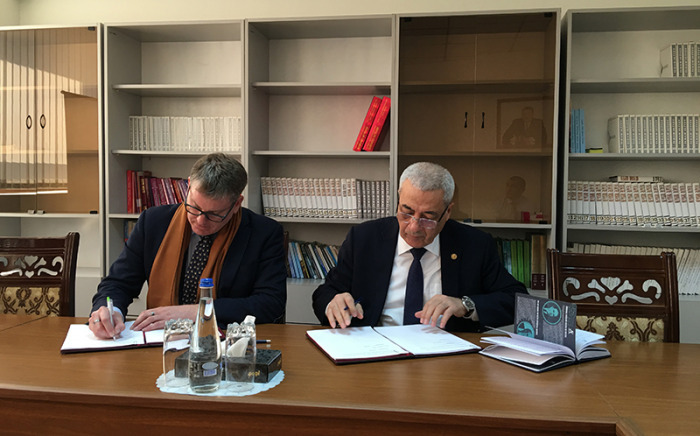 A memorandum confirming KfW’s latest contribution was signed by Alvaro Berriel, Senior Project Manager at KfW and CNF’s Executive Director Geof Giacomini. Thomas Eisenbach and former Executive Director of CNF, David Morrison, put their names to the document on behalf of the CNF Board. KfW’s latest contribution is yet another welcome and much-needed investment in nature protection and sustainable financing for Protected Areas in the South Caucasus. 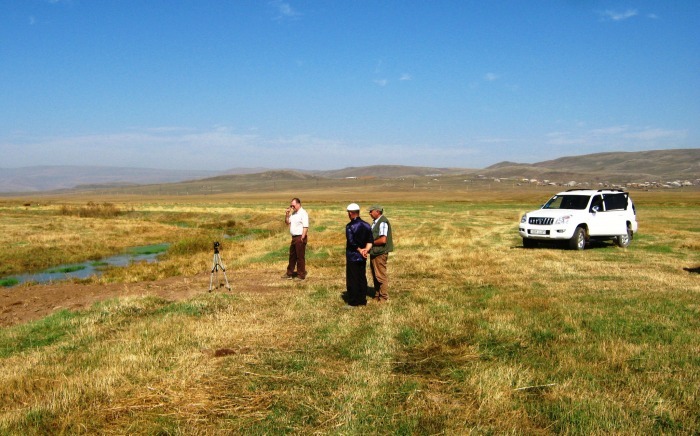 Since the founding of the Caucasus Nature Fund, KfW has contributed a total of €20.5 million specifically to the endowment – funds which CNF invests, in order to see long-term returns and extend the life of its funding mechanism. Apart from the Caucasus Nature Fund, the German government also supports other initiatives in the South Caucasus through KfW’s Ecoregional Nature Protection Programme (ENPP). The four projects or organisations that make up this Programme refer to themselves as the ‘Four Pillars’, as they complement each other in their work to bring about sustainable nature protection in the region. The first of the four pillars is the Support Programme to Protected Areas (SPPA), which provides financial support to new Protected Areas in the early days of their operation, as well as supporting communities adjacent to, or living in, the new Protected Areas. The second pillar is CNF, which covers the operational expenses of Protected Areas in a crucial stage of development. 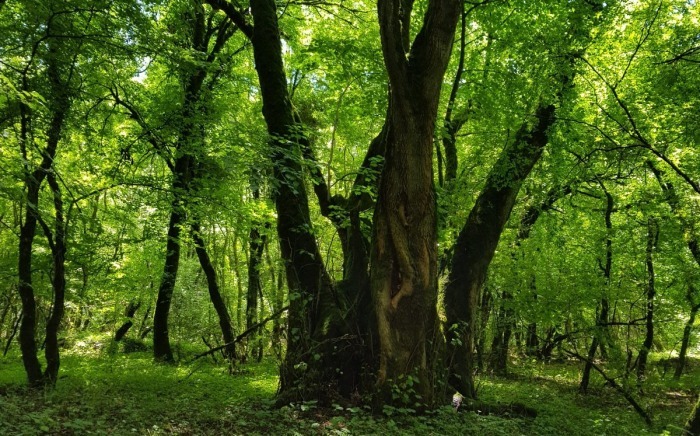 CNF’s involvement may be followed by the work of the third pillar, the Eco-Corridors Project, which is managed by WWF in the South Caucasus and aims to enhance biodiversity and nature protection through the creation of eco-corridors, linking existing protected areas. Finally, cross-border cooperation and tourism development is supported by the fourth pillar, the Transboundary Joint Secretariat (TJS).